This Dofollow blog list I got from the blogwalking. 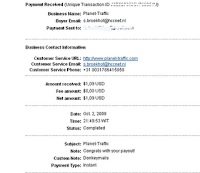 In gratitude, I include the source, this dofollow blog results I got from http://belajarseo.com. 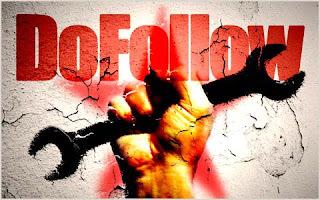 Following Dofollow Blog List, Note : I hope you check it out, of each following dofollow blogs, blogs are still dofollow or nofollow already. I hope the following list of dofollow blog to help increase your PR. You living in Semarang, Central Java, Indonesia or You Visiting in Semarang City? Just promotion. Visit Giant Cental City, Penggaron - Semarang. What's Giant Cental City?? There have opened shop POTABAN (POTATO AND BANANA) managed by my own friends. For those who like to snack I recommend a visit there. The following menus are offered. 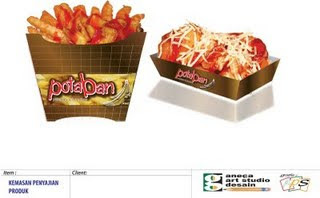 crispy potato taste with a sprinkling of pepper that makes it more bite and are available several kinds of sauce, cheese, BBQ, Balado, and roasted corn. Choco Chese; crispy banana with bandages flour plus a little pineapple fritters, made sweet and sour taste, above the toping include chocolate and grated cheese. Choco Nut: with toping chocolate and roasted peanut topping, making it more varied. raspberry cheese: topped with fruit sauce raspbeerry, it is refreshed with grated cheese, taste becomes steady, sweet, sour, and salty. Raspberry Nut: Topping raspberries, and a sprinkling of nuts, making it more solid. The 7.6 richter scale earthquake in Padang, West Sumatra or known in Indonesian as Gempa Sumatra has consumed a lot of attention from every nook and corner of lives. We see everyday, every hour, even every minutes through electronic media (TV) the massive after-effects of the quake. The condition of victims, the deads and the seriously injured, the homeless are simply horrible. Those whose house was destroyed not only homeless. They are penniless and clothesless as well. A natural disaster of such magnitude cannot be handled by our government alone. Each one of us should do our bit to help our brothers and sisters in the affected area. If you have a bank account, there is an easy way to help them as a way to show to ourselves that we are a man with soul. Send as low as IDR 10,000 (ten thousands = USD 1) to one of the following bank account belong to one of television networks. Of course, sending money more than IDR 10,000 is allowed. Choose TV network that you trust to donate. 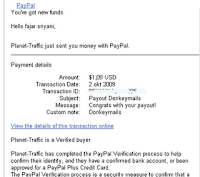 This is the first time the salary of donkeymails, DonkeyMails still exists today and also proved DonkeyMails pay. Even a small but significant proven to pay. Legit and not scam of course. Hopefully DonkeyMails continued Exist.